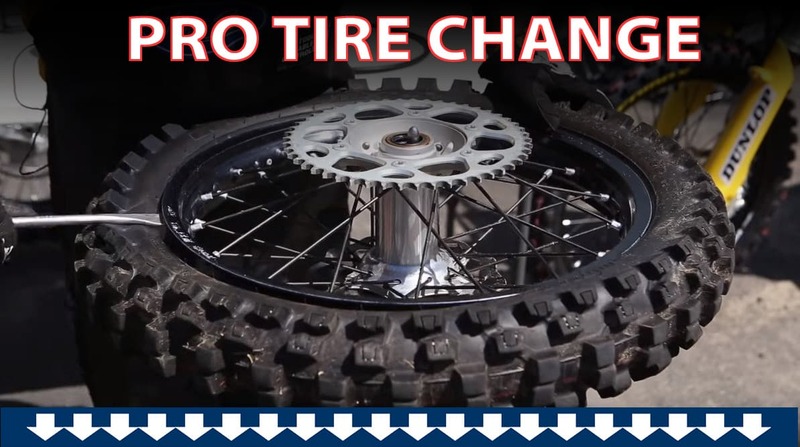 Most professional motorcycles mechanics have their own tricks for a tire change. It can be frustrating for a part-time rider who only changes a tire once every six months or so. We asked Jay Clark of Dunlop to give us a step-by-step run down of how he does the job without loss of skin or blood.